The digital health industry is collecting data on a scale of which we have never before seen. Let's use this data to uncover and understand reproductive health challenges, so couples that want to start families are more likely to be able to do so. One in every 10 babies is born premature in the United States. Worldwide, 15 million babies are born preterm each year. Unbeknownst to many, this is the leading cause of newborn death, and it's a crushing reality for many couples in this country. And yet, the causes of preterm birth are in large part a mystery. Each year in the United States, 400,000 pregnancies result in preterm labour, and the causes of many of those cases remain unsolved. The same can be said for the 30 per cent of infertility cases reported each year, the five million cases of polycystic ovarian syndrome, or even the 10 to 25 per cent of the pregnancies that end in miscarriage. The reality is that for many reproductive health concerns, we don't have a complete understanding of why the body does what it does. This lack of understanding causes untold suffering as women and couples struggle with reproductive challenges. For so many, there are no answers. This needs to change. 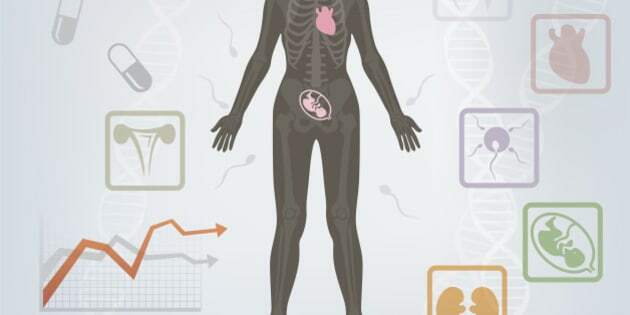 We are beginning to see an explosion of digital health data, and I believe this data holds the key to a better understanding and ultimately prevention of a large percentage of preterm births, infertility and miscarriages. Ninety per cent of all data in the world has been collected in the last five years. Mobile health apps play a part in this data collection, as millions of women and couples have started tracking their attempts to conceive, and the resulting pregnancies using apps. Even better, these apps can connect to each other, interweaving different kinds of data that we will eventually be able to use to find connections. Women and couples are tracking data points such as weight, activity, diet and supplements alongside data related to fertility cycles. Eventually, hormone data will be added to the mix. Already, millions and millions of data points representing pregnancies, miscarriages, infertility cases and preterm births exist on the servers of digital health companies. Within these data sets are answers. It's our responsibility as digital health companies to make our data available to researchers so these answers can be found and disseminated to the couples that need them. At Kindara, we've started working with university researchers to better understand the answers lying in our data, and I urge all other digital health companies to do the same. Furthermore, there is exponential benefit to combining these data sets for even more granularity and insight, and I applaud Apple for their foray into Research Kit, which may make large-scale studies possible on multiple data sets for tens of millions of people. The digital health industry is collecting data on a scale of which we have never before seen. Let's use this data to uncover and understand reproductive health challenges, so couples that want to start families are more likely to be able to do so. World Prematurity Day on November 17 is the perfect day for those working in digital health to remember that we have an opportunity and, I would argue, an obligation to use the data we're collecting to promote better outcomes for all.